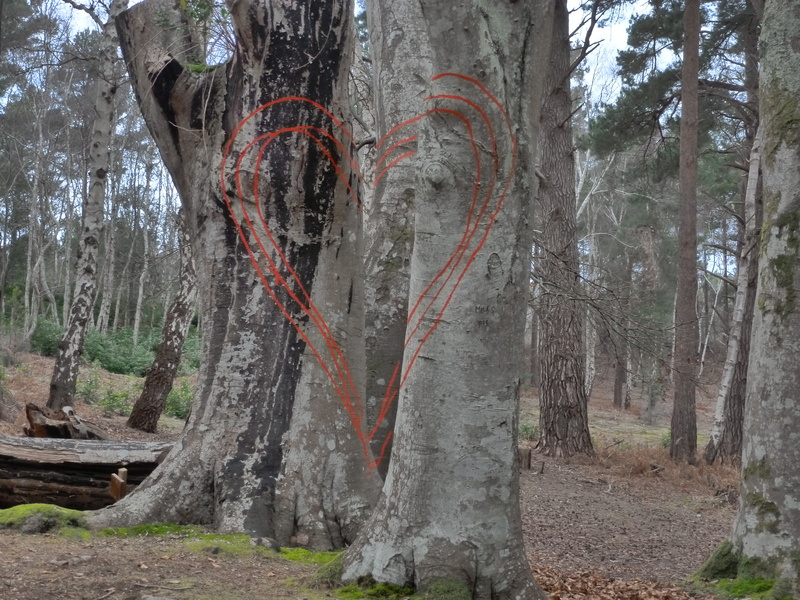 Heartwood – Pining For You is by Mike Fletcher at Brownsea Island, inspired by a heart carved into a tree on the island in 1985, with the names ‘Pat + Caroline’. I photographed three of them. 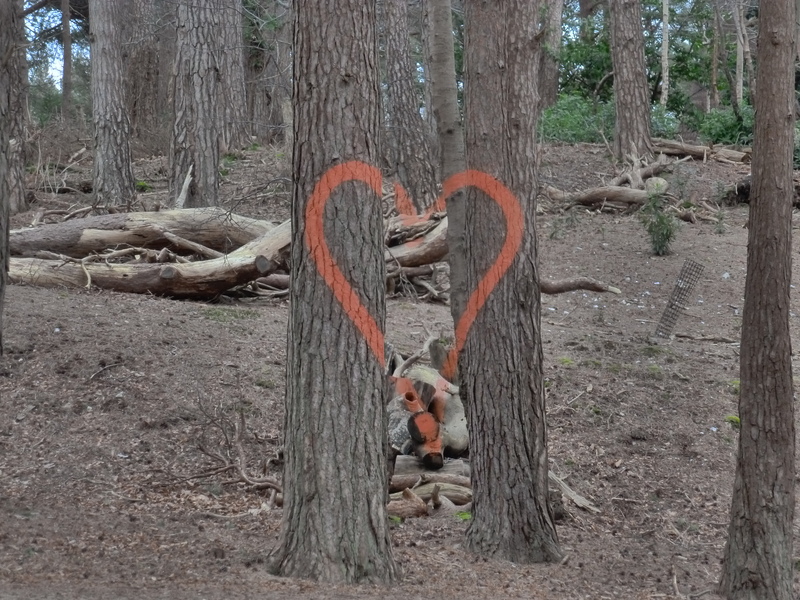 A ‘heart’ painted on trees, and viewed side-on. The ‘heart’ viewed from the front. 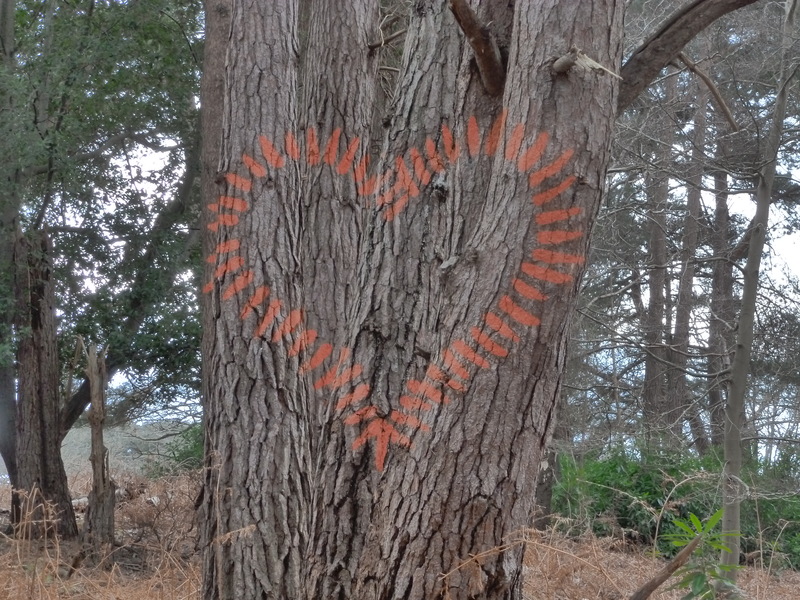 Three Line ‘Tree Heart’ – This really is painted on five trees about 10m apart. My favourite. 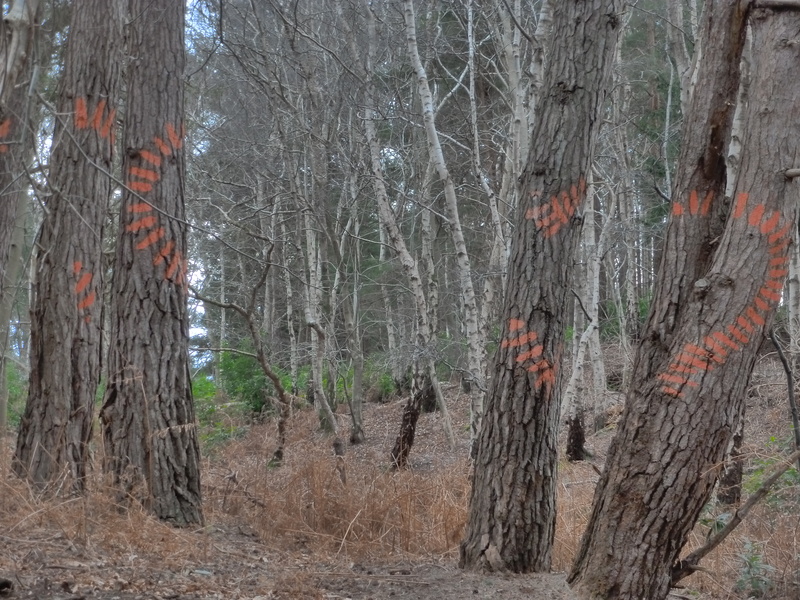 Parts of the heart are even painted on bits of debris over 15m apart.